1 in 3 People Die With Thyroid Cancer. Stop the screening! South Korean doctors treated these newly diagnosed thyroid cancers by completely removing the thyroid?a thyroidectomy. People who undergo these surgeries require thyroid replacement hormones for the rest of their lives. And adjusting the dose can be difficult. 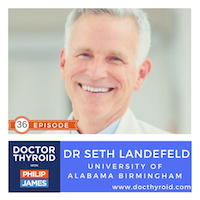 Patients suffer from too much thyroid replacement hormone (sweating, heart palpitations, and weight loss) or too little (sleepiness, depression, constipation, and weight gain). Worse, because of nerves that travel close to the thyroid, some patients suffer vocal-cord paralysis, which affects speech.